Monday was my birthday. We celebrated all weekend long. 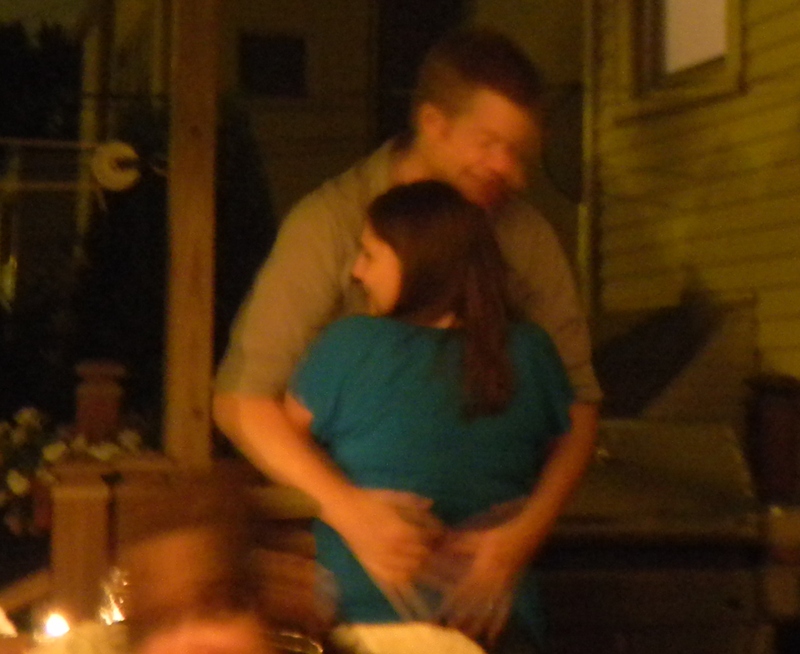 Dan organized a lovely backyard party in my honor on Saturday night. 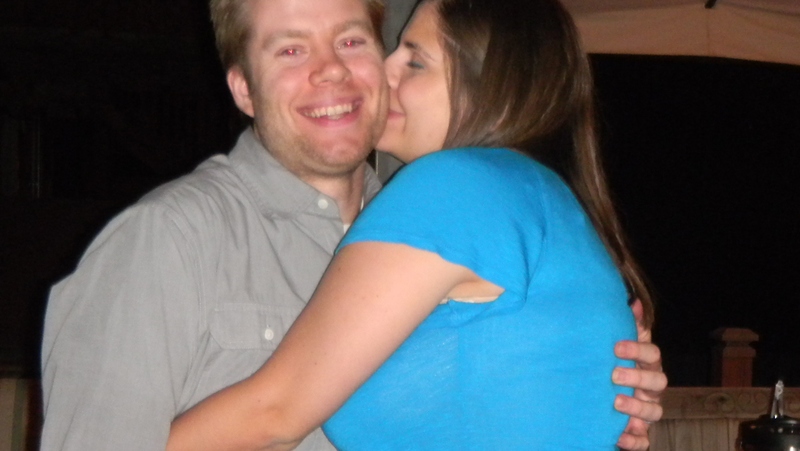 I couldn’t have asked for anything better. He kept it simple with the decorations. 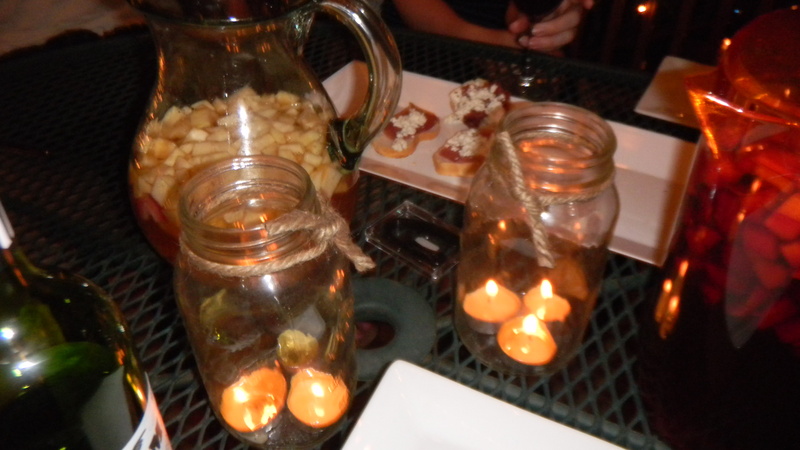 He asked me to gather up all the candles and jars we had, to create a light and non-fussy atmosphere. 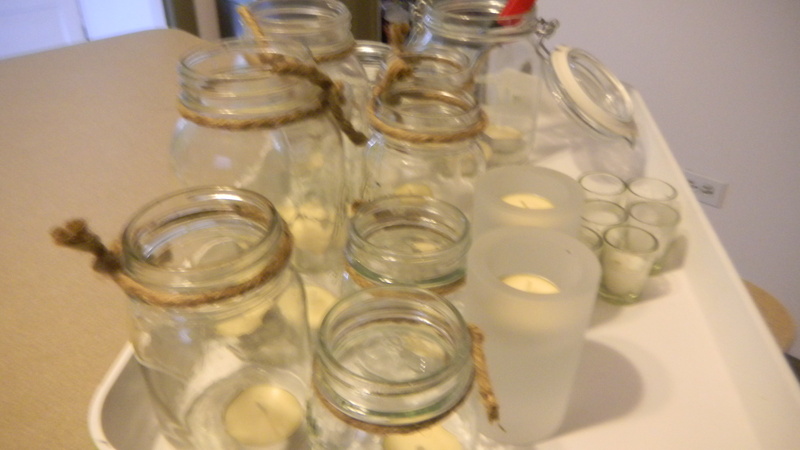 I found clear containers, mason jars, and all of the citronella votives I had on hand. He spaced them around the table, stairs, and patio. 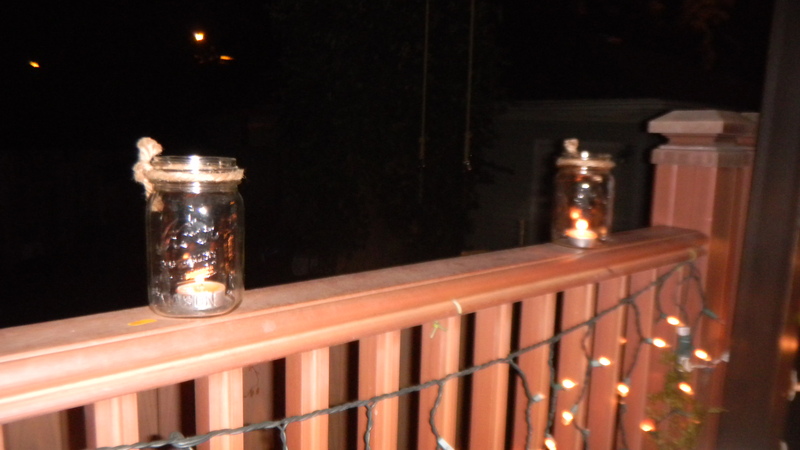 He also used the patio lights that were already there – both around the railing and in the rafters of the pergola. 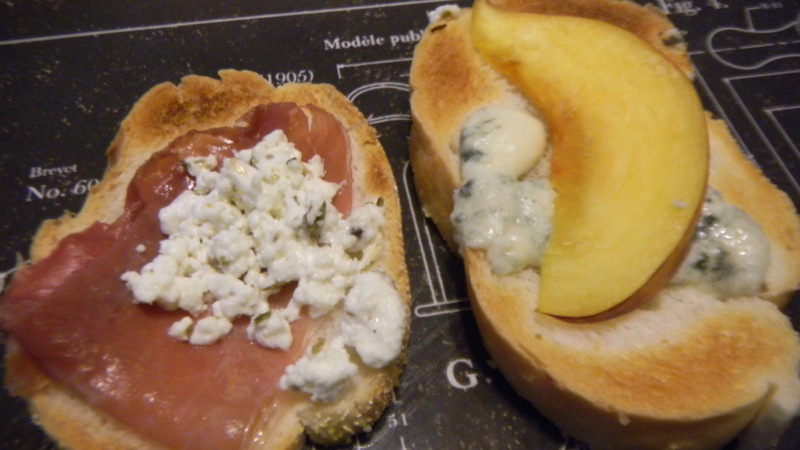 For food, again he kept it simple and went with two different kinds of crostini – proscuitto and goat cheese and peach with bleu cheese. He grilled the baguette and peaches and let the crostini warm on the grill once they were assembled. 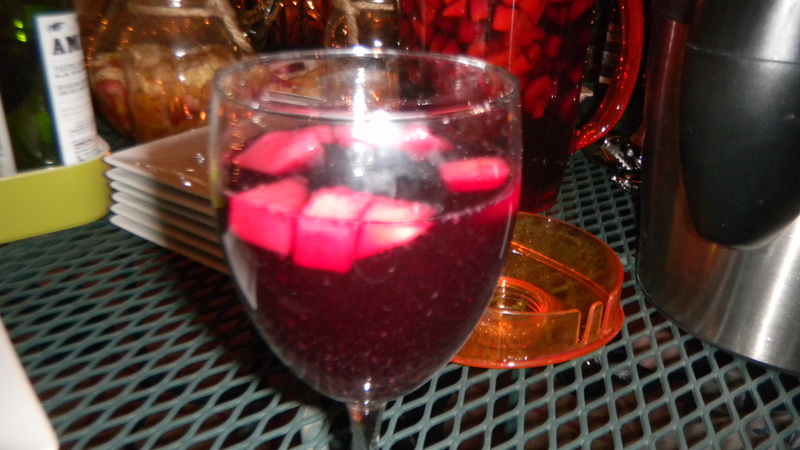 To drink, we had sangria – both red and white. Making it was a breeze, and we were able to do it the night before to save some prep time on the day of the party. Just add all the ingredients together and let sit over night for best results. 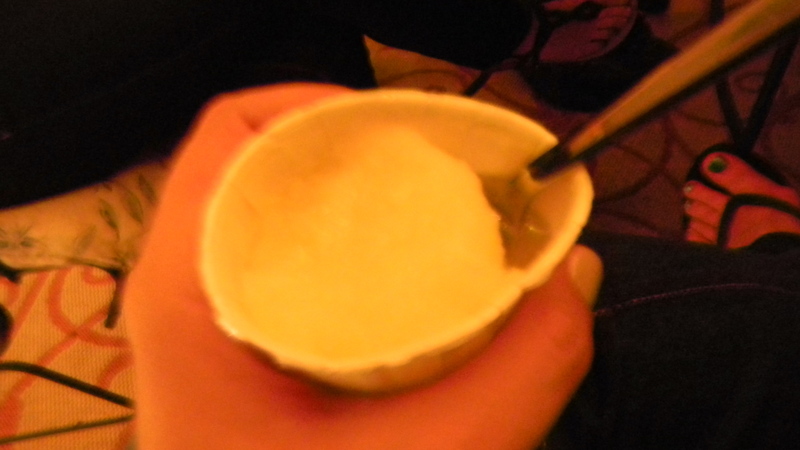 I thought we would need to add sugar, but it tasted great even without it. 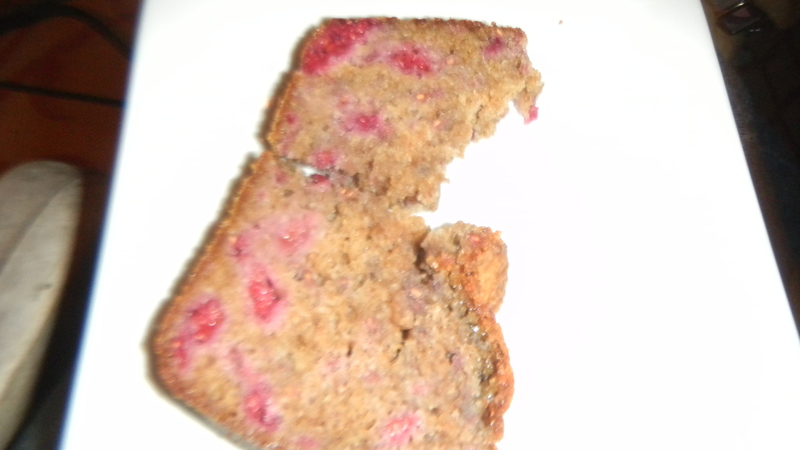 and Giada’s cranberry pound cake, minus the cream topping, using this recipe. I could not have been happier with the way everything turned out. Dan truly outdid himself, and I cannot thank him enough for putting this party together. I had a wonderful night filled with good friends, good food, and good wine. What more could I ask for?